Early Voting for the November 6th General Election will get underway in Arkansas on Monday, October 22nd. In Polk County, registered voters may cast their vote early at the Polk County Office Complex (old hospital), located at 606 Pine Street in Mena. Hours will be 8:00 a.m. until 6:00 p.m. weekdays, and 10:00 a.m. until 4:00 p.m. Saturdays. 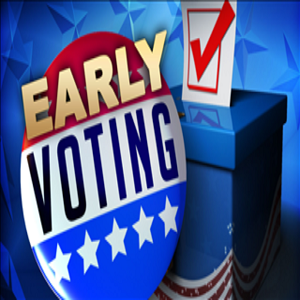 On the Monday before the General Election, early voting will end at 5:00 p.m.
To determine if you are a registered voter, click anywhere on this line. To learn more about the candidates and issues on the ballot, click anywhere on this line for the Family Council's Voters Guide.